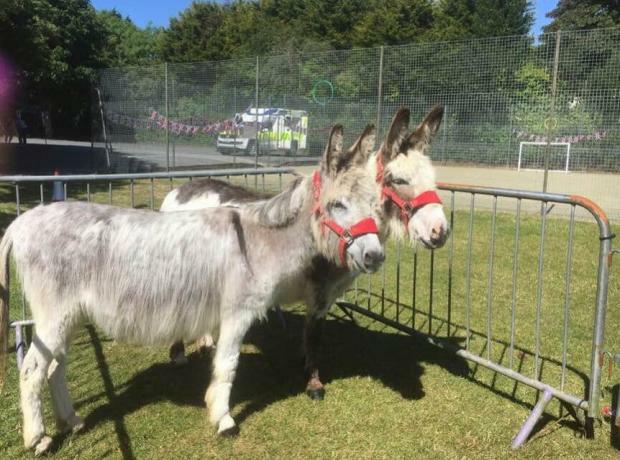 GSPCA volunteer Suzy Rose popped along to the event with her two donkeys and raffle tickets on sale with a top prize of £1000. 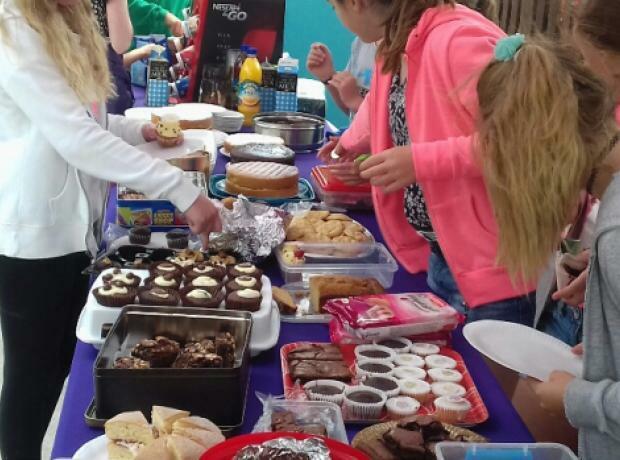 This Thursday St Martins Primary School students after a series of Epic days will be selling cakes along with drinks this between 130pm and 230pm at on Charity Shop on site at the GSPCA Animal Shelter on Rue des Truchots, St Andrews. The children from St Martins Primary School enjoyed a tour, helping read to the animals, make fresh feeders for them, are helping with our conservation work around site today and finish their 4th day at the Shelter selling cakes to raise funds for the animals in our care. Last week around 30 children from St Martins Primary School enjoyed an Epic Week in the sun at the GSPCA. 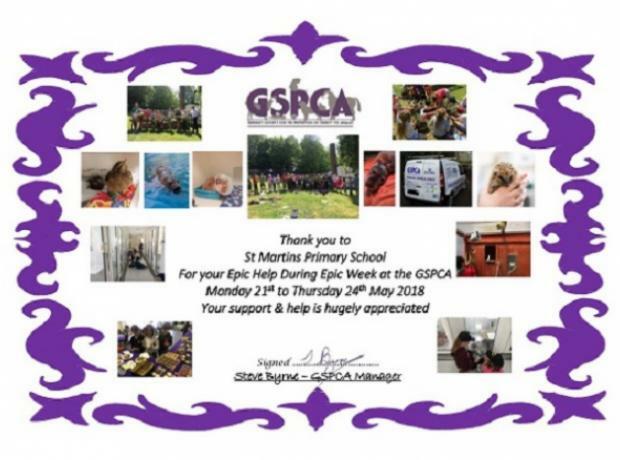 The week was arranged thanks to Clare Giles the Assistant Head of St Martin’s Primary School who met with GSPCA Manager Steve Byrne some weeks ago to see how the children could help out at the GSPCA, have fun and learn about the work of the Animal Shelter. After a massive tidy and new floor in our on-site charity shop we have re-opened the doors and to celebrate this Thursday St Martins Primary School students during their Epic Week will be selling cakes along with drinks this between 130pm and 230pm. The children from St Martins Primary School enjoyed a tour yesterday, will be helping read to the animals and clean some cages today, helping with our conservation work tomorrow and finish their week on Thursday at the Shelter selling cakes to raise funds for the animals in our care.